In 1999 the volunteers at the Manitoba Crafts Museum and Library visited the studio of Ione Thorkelsson in Roseile, Manitoba. 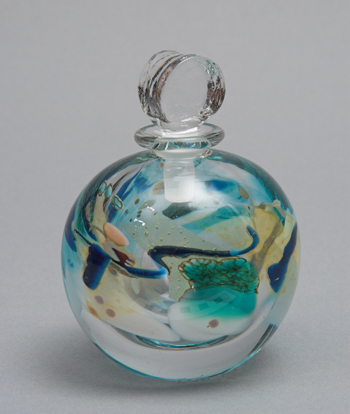 At the end of the visit the group purchased this perfume bottle for the museum collection. It was dedicated to Margaret Gaunt, curator of the museum collection from the early 1990s until 1998, who had passed away earlier that year.